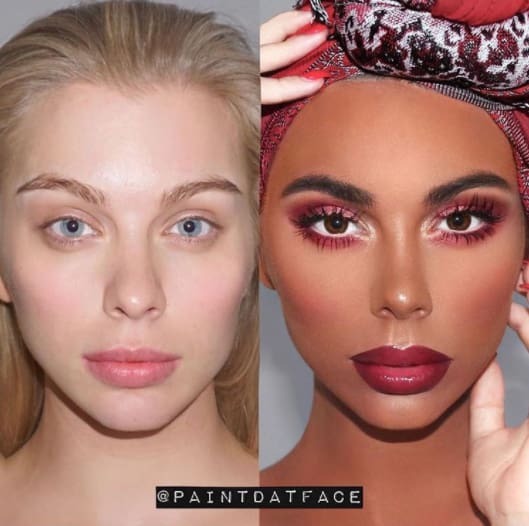 Scroll through the Instagram account @PaintDatFace, and you'll see picture after picture of makeup transformations, from bare faces to full glam. With more than 60,000 followers, there really wasn't anything out of the ordinary. That is until just a few days ago, when @PaintDatFace messed up big time. Over Memorial Day weekend, the account posted a before and after makeup transformation that has ignited the internet, with plenty of people claiming that it's basically glamorized blackface. 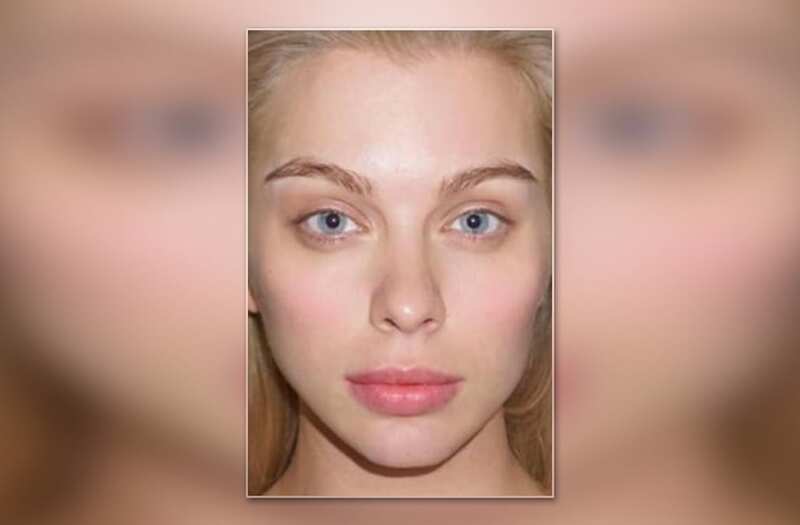 When the account first posted the image, which shows model Anna Thorsell, a white woman, first with a bare face and then with a much, much darker complexion, it was already trying to fend off controversy. "This is a transformation that I've been holding back from releasing for a while now, solely because of the fear I've had of people turning it into a racial scandal against me," @PaintDatFace wrote. "THIS IS NOT ABOUT A RACE CHANGE. This is about one woman acknowledging, embracing and celebrating the beauty of another woman's culture. I believe we live in a society nowadays that seeks any reason to stomp around town with a picket stick in their hand, fighting ABOUT something, rather than FOR something (and yes, there is a difference!)." Despite the disclaimer, people weren't having it. As detractors on Twitter point out, there are a number of problems with the post. For one, the artist could have used a woman of color to celebrate their own culture. For another, the initial disclaimer proves that even the artist knows it can be seen as incredibly offensive, so why even post it? The transformation that I recently posted of a woman transformed into a woman of another culture has been highly criticized by those who don't understand the message. Truth is, my intentions were to keep the look vague enough to be relatable to many women of different cultures, but the true inspiration of the overall look came from my Cuban heritage. Although I am saddened by how many people are angered, I can't offer an apology for my artwork and for what I find to be beautiful.The transformation came from a place of love and was not about mocking one's race, but rather about celebrating it. The transformation that I recently posted of a woman transformed into a woman of another culture has been highly criticized by those who don't understand the message. I deleted the post, not because I had regret or saw wrongdoing, but because of the negativity social media turned it into. It's been assumed by most that my intentions were to transform my model into a black woman. Truth is, my intentions were to keep the look vague enough to be relatable to many women of different cultures, but the true inspiration of the overall look came from my Cuban heritage. Although I am saddened by how many people are angered, I can't offer an apology for my artwork and for what I find to be beautiful. The transformation came from a place of love and was not about mocking one's race, but rather about celebrating it. I am so proud to be illustrating a woman representing several cultures along with their achievements, beliefs and histories. Art is interpreted differently by all and sometimes it's uncomfortable, but making this world a better place starts with our mindset - thinking positive, showing love and practicing unity. Indeed, from the beginning, @PaintDatFace has had their defenders, who see the transformation as more of a statement on the power of makeup. But there are still plenty of people who see this as the 21st century's own adaptation of blackface. After all, if @PaintDatFace really wanted to celebrate Cuban women and Cuban culture, then they could have just used, you know, a Cuban woman. 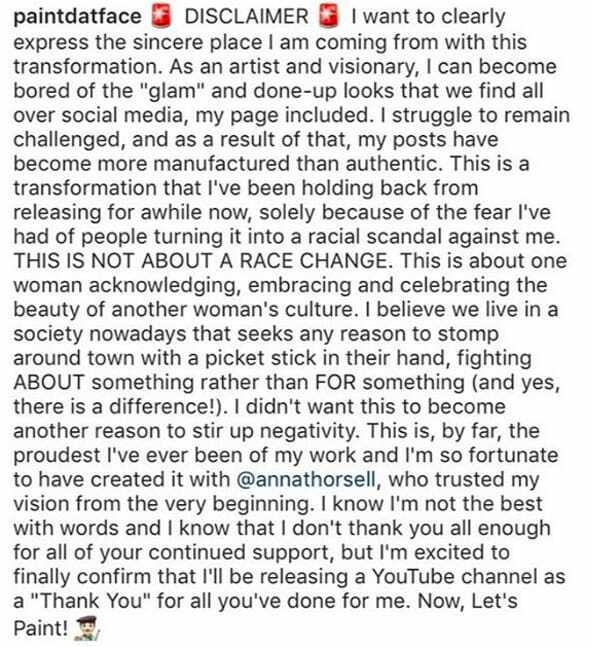 Mic has reached out to @PaintDatFace and the model, Anna Thorsell, for further comment.